Happy Wednesday folks! It is my day over at the Gypsy Soul Laser Cuts blog. I used the along with postage frames. I embossed them both with glitter embossing powders. I covered my cardstock with pattern papers and a handmade crepe fringe border. Happy Monday my friends! My day over at the Cheery Lynn Blog. Easter kinda creeped up on me. It's just a month away! I got out some fun Springy goodies and went to work creating a card and matching mini treat bag. I used the tags #1 and cut a negative image of the sweet Chicks three piece set. I did some hand stamping to add some detail. Happy Monday my friends! My day at RRR. I have a sweet shabby card to share. I created my own flower with wool felt , vintage laces, and vintage fabrics. I used stamens for the middle of my bloom. Don't slam the screen door! Happy Saturday! Cherry here for the CLDB! I have a card to share today. I used the Screen Door die for my main focal point. Such a cute die with a real screen!! Too add more dimension I added thick foam to the back side of the door and the kitty cat. I added the tags #1 and stamped a sentiment. That screen is the cutest!!!!! Hello Gypsy Soul Laser Cuts peeps. I started with the Valerie frame. I used a chalkboard pen to paint it white. Than I added a vintage cameo pin and my ribbons. I than added flowers and some buttons. I than added a vintage bird to the middle of my bows. 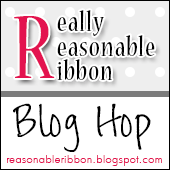 Today is the day for a RRR Blog Hop!!!! You should have found your way here from Kathy's blog. Here is today's gorgeous ribbons. 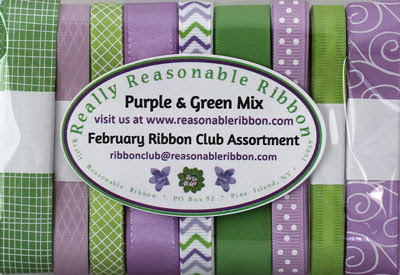 Here is my card created with the Club ribbons. Your next stop on this blog is to Linsey's Blog. Have fun and be inspired! A bright colorful happy birthday card!!!! Happy Monday my paper peeps! My day at the RRR BLOG. I have a pretty card to share with you!